Dr. Owu-Ewie in his presentation indicated that, the donation was to assist in the celebration of the Akwanbokese festival and was also in fulfillment of the promises made by Management to the people of Ajumakoman. 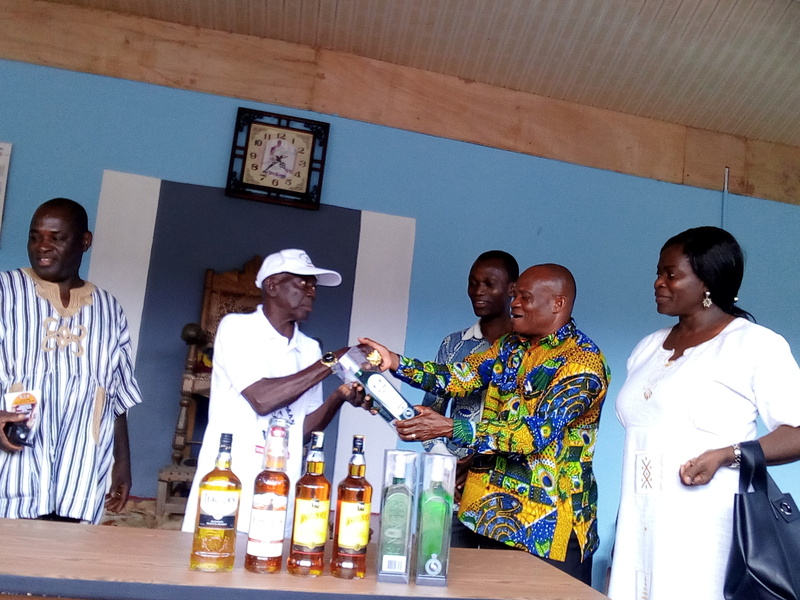 The items presented which included assorted soft drinks, wine, water and a cash donation were received by the Paramount Chief of Ajumako Traditional Area, Okukudurfo Nana Kwame Hammah, and some elders. 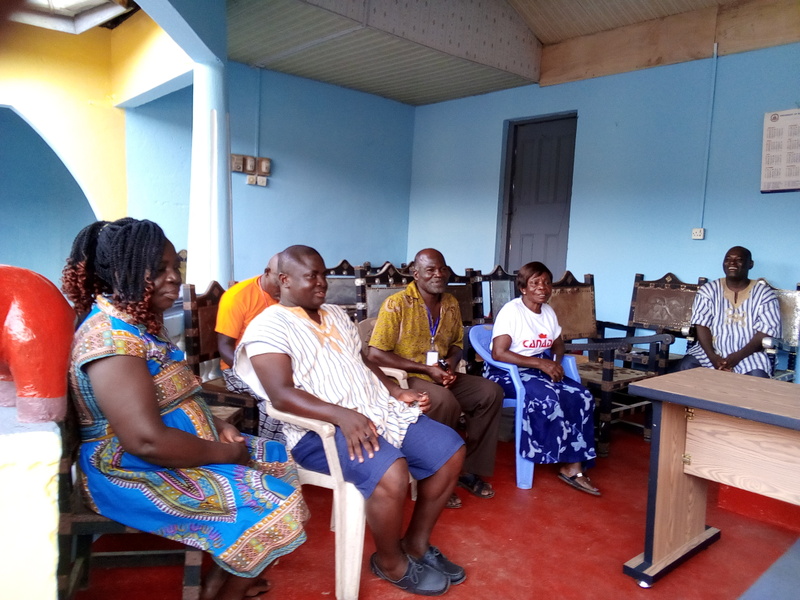 They expressed joy and thanked Management for the donation towards the Akwanbokese and further pledged their support to Management and UEW as a whole. 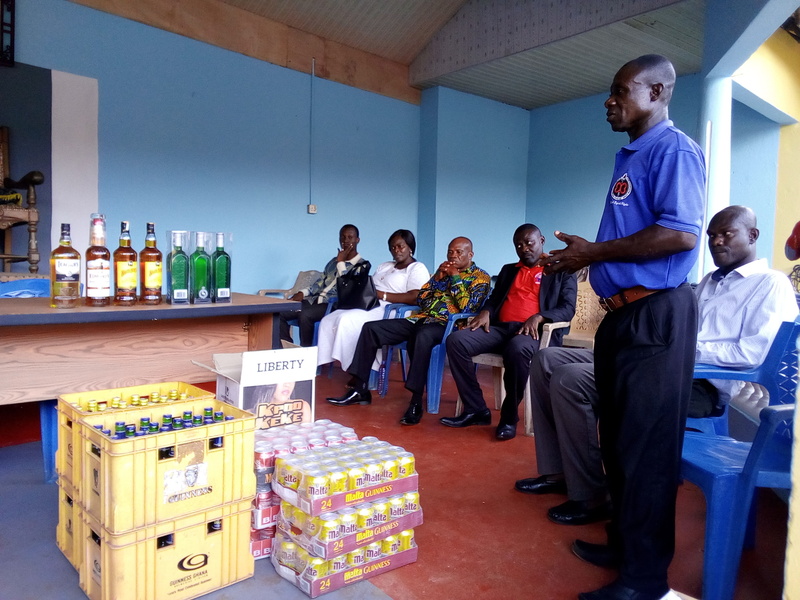 Present were the Vice-Dean of Student Affairs (College of Languages, Education), Mr. Kwasi Adomako; Head of Finance, College of Languages Education, Mr. Emmanuel Kwasi Botwe, and Mr. Abeiku Otoo.